One of the biggest challenges that often accompanies apartment living is the roommate situation. No matter how well you may get along, it can be tough negotiating two different styles when it comes to decorating. These five tips from RENTCafé Apartments can help you navigate those decorating decisions and come to a solution that will suit you both. One thing you should be able to agree on right away is that your apartment should be both comfortable and easy to navigate for everyone involved. To that end, start your decorating by putting the function of the space first. Lay out your furniture to create separate conversation or work areas in the shared space so you can both have some privacy, and make sure that you leave walkways open to make it easy to get around. 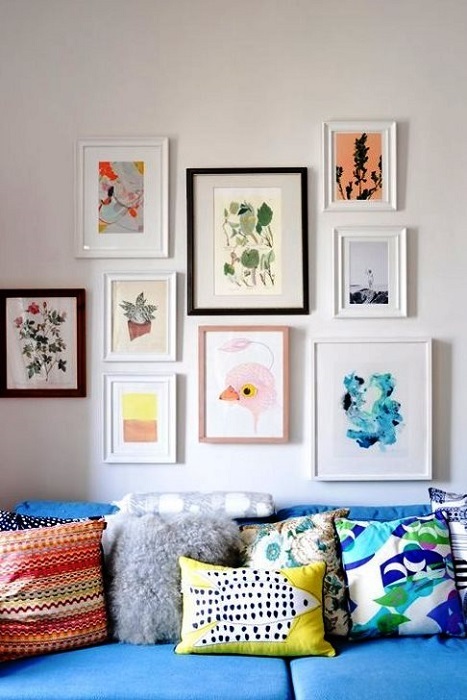 It’s tempting to want to fill up your living area with lots of personal mementos, but when you share a space with someone else, the competing styles could overwhelm the room. So keep the main living areas clutter free and streamlined in design. Use color and texture through textiles and furnishings to decorate with, rather than personal items and reserve those for your bedrooms only. Color is a fantastic way to decorate, and a color theme allows you to incorporate more than one color into the design. Popular color themes include decorating with complementary colors like black and white for a dramatic look, or analogous colors like red, orange, and gold for a more subtle approach. Either way that you go, make sure that you keep the colors to the same saturation and tone so they work in the same room no matter how different they may be. If you can’t agree on a single color or decorating theme, try to find elements in each of your styles that complement each other. If your roommate loves Shabby Chic, but you’re more contemporary, try pairing streamlined furnishings with lots of throws and pillows in a variety of prints to meet both your needs. If you’re really struggling to decorate your apartment with your roommate, strive to keep your living spaces neutral. Settle for palettes of cream, tan, chocolate brown, black and white, or gray to coordinate everything within that neutral shade. Then put your decorating energies into your private areas to make up the difference. Decorating with a roommate can be tough, but you have plenty of ways to work around disagreements. Be prepared to compromise and remember that you can always let your personal style show in other ways.